Any video editing and production software nowadays unless you illegally attain it somehow is going to cost a pretty penny, especially as some major brands start to shift to the subscription-based model to maximize their profits (it will be the new norm sooner than later, unfortunately). Video software in general can be pretty hefty as it is when it comes to price-point, particularly if you go with the industry standards such as Premiere or Final Cut Pro. 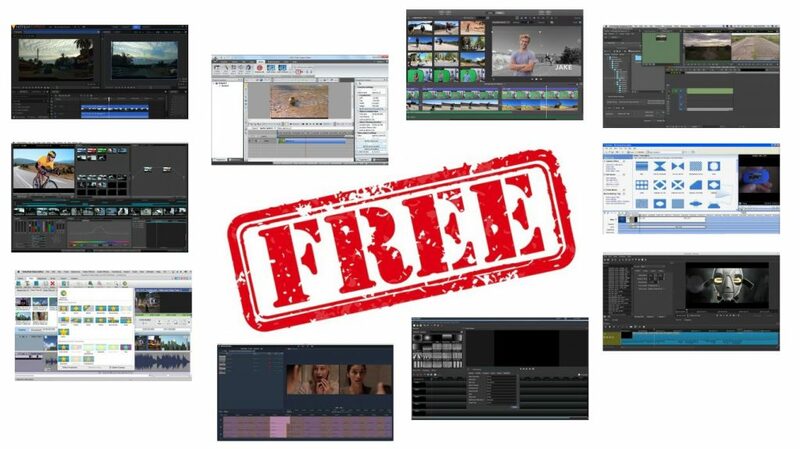 That’s why today we wanted to give you a decent list of all of the best free video editing software we think are worth the download, both in our experience as well as through extensive research. Thankfully we have flexibility here to where downloading even all 10 of them may be an option for you if you’d like to find the ‘perfect’ program for your needs. The best music software for beginners will get us going on putting those creative juices to work and ultimately, down for others to hear and enjoy. Nowadays, there are a lot of solutions when it comes to music production software (also known as digital audio workstations); however, finding the best for when we’re just starting out can be difficult when sifting through the rubble. Through personal experience and extensive research, we were able to narrow down our search to just 4 recommendations when it comes to beginner DAWs. The reason we include 4 will depend on a few factors we also want you to keep in mind while searching, and also feel it’s important you take the time learn a specific music software that will also allow for some leeway when it comes to a future learning curve once you’re a lot better at making music. Let’s get started. It’s perhaps nearly impossible to create your own without the best podcast software at your fingertips. Being able to have some flexibility when it comes to editing levels, blending in tracks with different voices and music, adding some FX, or other types of mixing and mastering you’d like to complete before allowing the world to hear what you have to offer is critical. As always with podcasting gear, or really any type of equipment in general, what the “best” is will depend on few factors (which we list below). We did choose quite a few software to check out, and made sure to keep a broad range in case one of these stood out as a “must” for you. Let’s get into the best podcasting software factors first. We were surprised at how powerful some of the best free music software available right now can be. If a lot of those popular digital audio workstations out there aren’t your thing or you don’t feel like spending an arm and a leg right now on software (or download it illegaly! ), you’ve come to the right place. We’re huge fans of all DAWs and music software in general, and although we do recommend going with one of the more popular music software picks out there that you’ll eventually have to pay for as more of an investment (you can also use free trials for free), downloading some free music software in the mean time won’t hurt for some immediate needs. We scrounged the net for some of the best free music software and found some awesome solutions below — we’ll also list the highlight features and provide download links. Whether you’re on iOS or Android, their respective app stores are flooded with different types of photo editing, collage, and photography-based solutions to give us an array of options when it comes to tweaking our pictures. But which photo editing and production apps are worth looking at? Some are just flat-out junk, so we did the research for you. When deciding on a photo editing app for you, there will be a few factors to keep in mind. Just like video editing apps and even music making apps, there will be apps designed to one specific feature and others with a combination of many, so it’s going to depend on what exactly you’re looking for.